New domestic gas pipeline will enable Kazakhstan to launc gas export to China and to install gas in the south of Kazakh stan as well. 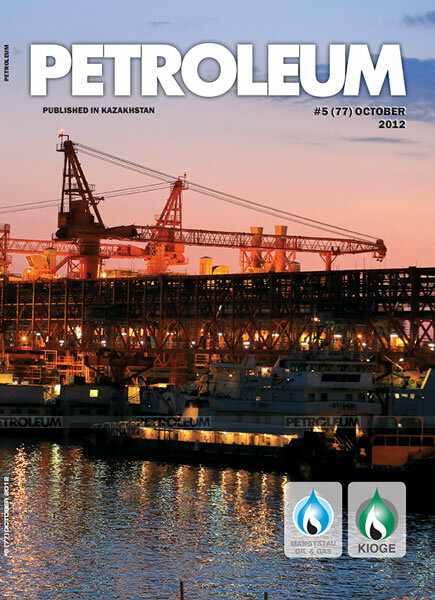 On August 1, 2012 Beineu-Shymkent Gas Pipeline LLP initiated fullscale installation of Beineu-BozoyShymkent main gas pipeline to link the gas-bearing regions in Western Kazakhstan to energy resource-hungry South Kazakhstan that imports gas from Uzbekistan. Gas supply from Uzbekistan is unstable: as air temperature sinks below zero in winter in the neighboring country Uzbekistan practices slump of gas supply to Kazakhstan. Even the current supplies are not adequate to meet the needs of industry for instance, shortage of energy resources prevents the fertilizer plant based in Merke, Zhambyl region from reaching the planned production capacity. The last winter gas supply gap in the south of Kazakhstan had to be filled with the more expensive gas from the Kazakhstan-China gas pipeline. 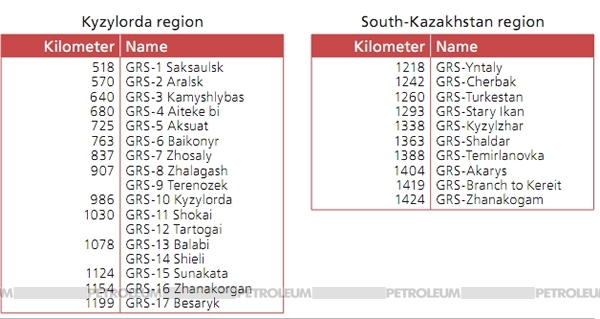 Apart from the shortage of gas the southern regions are facing a much more serious challenge no gas at all in many residential areas in Aktobe, South Kazakhstan and Kyzylorda regions. 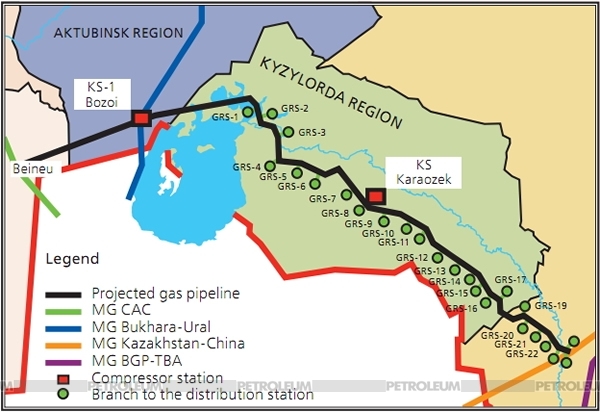 The first ever new domestic gas pipeline built in the years of Kazakhstan’s independence will contribute to finding solution to two problems: 100% provision of the south of the country with the Kazakhstan-produced gas and gas installation in 577 residential areas in Kyzylorda, South Kazakhstan, Zhambyl and Almaty regions including Baikonur. There is another long-run objective in the last phase of the construction works the gas pipeline will join the Kazakhstan-China global export pipeline system.